Breathable mesh and back cutouts provide a stylish, yet relaxed look during your workout sessions. Body: 100% Rayon. Mesh: 94% Nylon, 6% Spandex. Tawni P. Reviewed by Tawni P.
Extremely cute and my daughters love them. 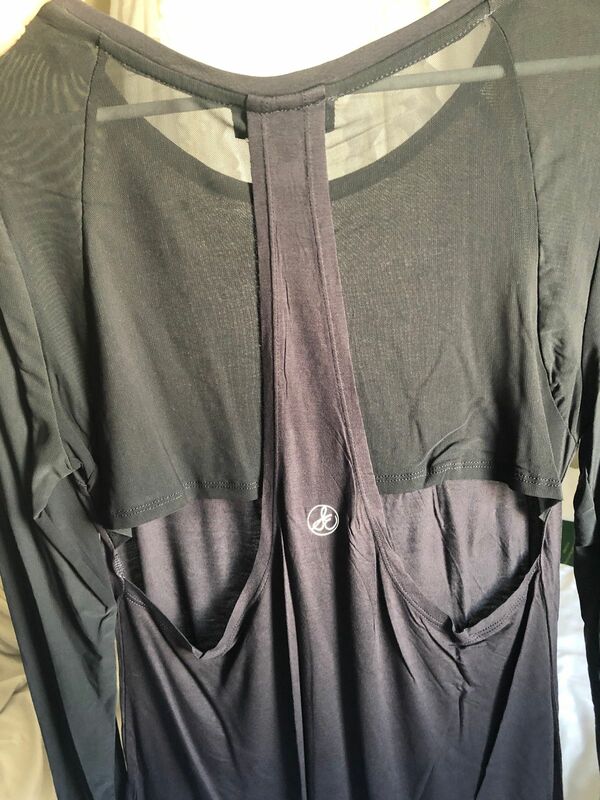 Merinda P. Reviewed by Merinda P.
I love this top. Looks great with jeans. Very comfortable. Agnieszka T. Reviewed by Agnieszka T.
The quality is good and it’s very flattering . Great to wear everyday . Jill G. Reviewed by Jill G.
This top is very cute, I love the cutouts in the back. You could even wear it out with jeans. Proozy is awesome I love shopping on here always fast shipping. Fast shipping, amazing Top that fits me perfect! Thank you Proozy!